Just a couple days ago, I posted about Midgard (2007). 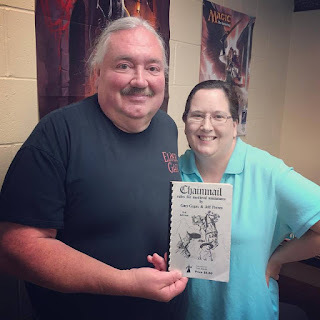 You can check that out here, so I won't repeat the details of the game. I do recommend the video to which I linked in that last posting as a primer if you are interested in the game. 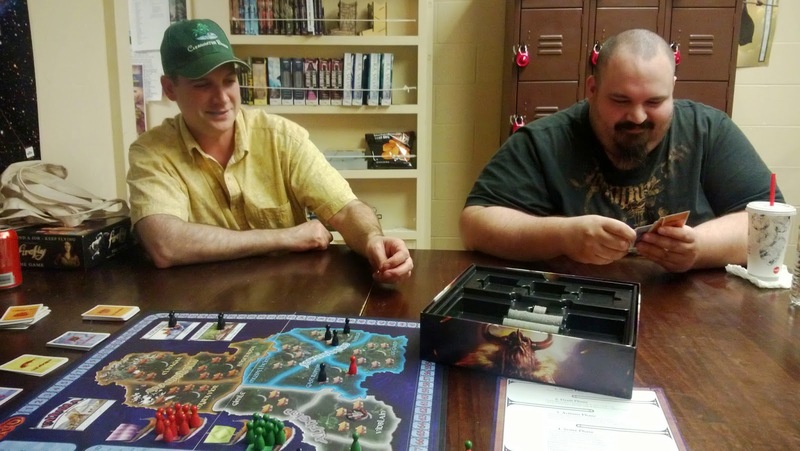 The plan was to get in a game of Midgard for Game Like a Viking Day, which happens on the third Thursday of every month, for those interested in joining in the fun with your own organized Viking-themed games each month. 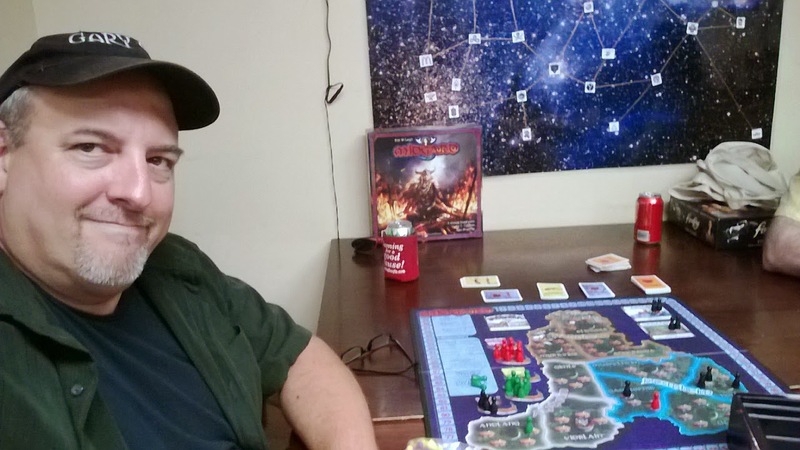 We did indeed squeeze in a game of Midgard and I have some insights to add to my previous posting. Firstly, the discussion we had after the game reached consensus in a few areas. We agreed that the micro-rewards in so many areas make a ranch of strategies viable, particularly if you can avoid the strategies being exploited by opponents and make quick adjustments as you keep track of which cards your opponents seem to be drafting. Secondly, and this one I am revising relative to what we discussed post-game as I have reflected on it further, Asgard *doesn't* stink on ice. We came to general agreement that sending too many Vikings to Asgard can keep you out of the running elsewhere but now I think that is only true if you don't build it into your strategy properly. That is to say that if you send Vikings there without keeping a flexible way to draw some back if they aren't needed, then Asgard can be problematic. But if you keep an outlet card, shall we say, so that a couple of Vikings can be brought back to the three Kingdoms, I think both Asgard and Vanaheim can be useful and not simply worker-pits. Finally, the combination of gaining two points for those Vikings becoming Doomed and the additional point they each gain returning from Valhalla means you have to be sure no one runs away with all of the villages in Doomed provinces round after round. If you want to hang onto a high numbered Gold card, thus requiring you go first in that same round, it behooves you to jump into a Doomed province to be sure you aren't playing the rest of that round catching up to someone going subsequently in the round. Once you don't otherwise, if a subsequent player works heavily toward occupying villages in the Doomed provinces, they can really create a wide gap in the scoring. This is compounded if those Doomed provinces are spread fairly evenly around the board, since they will also be collecting sets of tokens along the way. Perhaps even worse if the Doomed provinces are bunched up in Kingdoms where you have few cards to dislodge them, and they also manage to gain majority before their Vikings are happily swept off to Valhalla. So, those are just a few additional thoughts on the game and I hope you get the chance to enjoy it soon yourself!